100% cashmere, 2+2 ply. 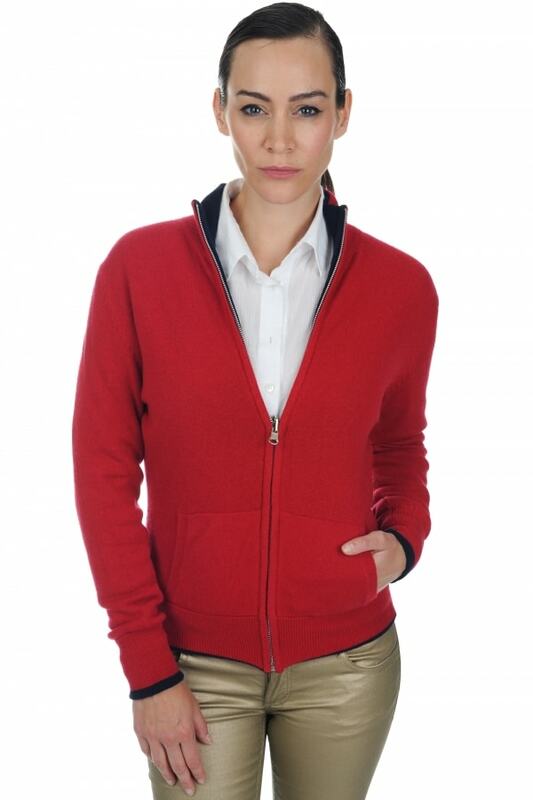 This remarkable zipped cardigan is reversible with a different colour on each side, all you have to do is turn it inside out to change the style, 2 cardigans in one with side pockets. Hem and cuffs have 7 cm rib. Sporty and fashionable.